Inspired by good beers and the ones we share them with. Our tap list is curated to provide you with the ultimate beer experience, but we are more than just a craft beer bar. Our kitchen works hard to create a menu of elevated dishes that pair perfectly with your beer and has great options for lunch, dinner and brunch. We are proud to be the home of the two-time Sacramento Burger Battle Champion Burger, the Pangaea Burger. 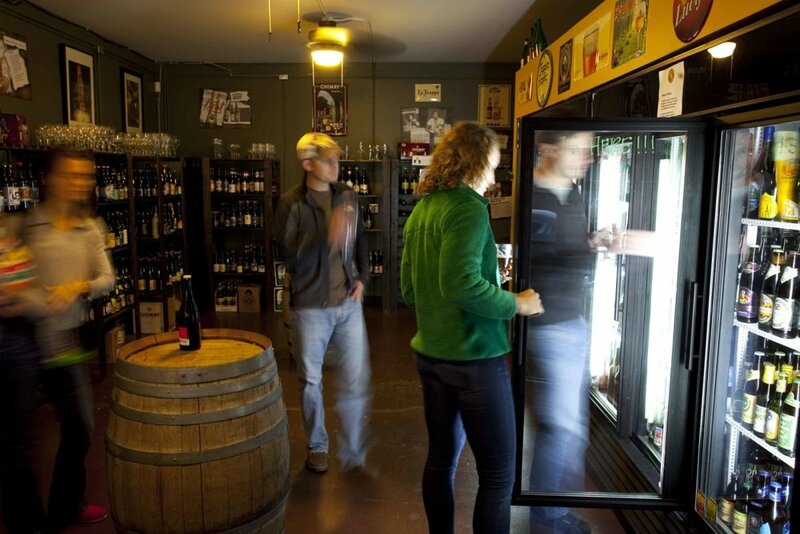 If you can't find what you're looking for on tap then step into our bottleshop and pick a bottle for-here or to-go. 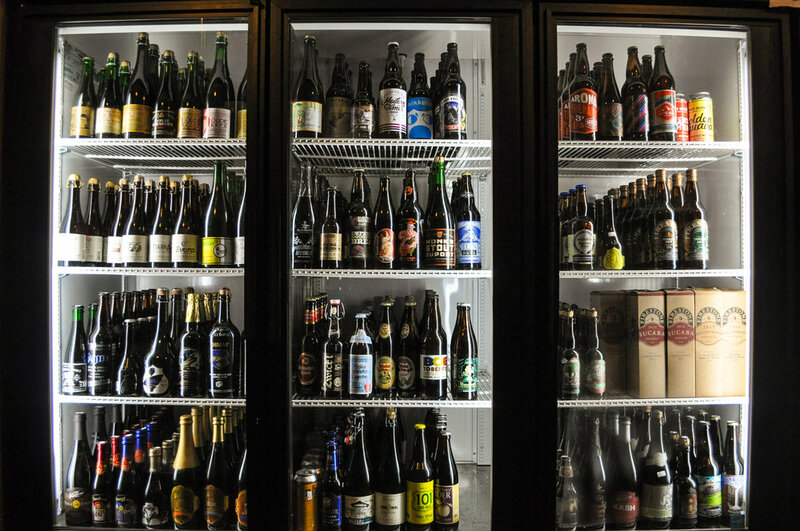 It's stocked with over 100 bottles from breweries around the world, IPA's, Stouts, Saisons, Belgians, Ciders, we've got it all. Pangaea is the perfect place to raise a glass with family and friends or to come and make new ones, we'll see you soon! Get a Fried Chicken Sandwich and a 16 oz. can of Modern Times Booming Rollers or Fruitlands for $15. Available every Sunday night from 5:00 p.m. to 9:30 p.m.
Get a BBQ Pork Sandwich à la carte with a 16 oz. can of Pizza Port for $10. Available from 11 a.m. to 5 p.m. on Tuesday, Wednesday and Thursday. August is historically the month Pangaea hosts a lobster bash with our friends from Allagash Brewing. True to form we are bringing it back this year, Saturday August 25th. Join us as we cook up some of the finest Maine lobster we could find and pair with it with a slew of excellent brews from Allagash Brewing. To provide the highest possible quality our friends from Allagash will be shipping us live Maine lobsters to give you guys the freshest stuff we could find. “So hurry up and bring your jukebox money” as I initially thought the B-52s immortalized in their song ‘Rock Lobster’ but after a fact checking Google search disappointingly learned was from their other big song ‘Love Shack’. Tangential glimpse into the writing process aside we will be offering a truly spectacular list of Allagash beer including: Coolship Red, Avance, Josephine, Little Sal, St. Klippenstein, Strictivus, Two Lights, Curieux, Allagash White, and their classic Saison. It is an iconic Pangaea event we love hosting with delicious Maine lobster and equally delicious offerings from one of Maine’s finest breweries. Beers will be pouring all day, and lobsters served up in the evening when they tell us they’re ready. This Wednesday August 15th we will help unveil the newest collaboration between locally based Moksa Brewing Company and Modern Times. Grasp of Darkness, a 12.5% imperial stout brewed with Tahitian vanilla, cacao nibs, and bourbon infused Modern Times coffee beans, is the collaborative result between these two breweries. With this beer at the helm we will be pouring several other beers from each of the respective breweries. Amongst these beers will be Lutari, Critical Band, Fortunate Islands, and Monster’s Park from Modern Times, as well as a Tangerine Sour, and some other to be determined beers from Moksa. Event begins at 5:00 p.m. Wednesday, August 15th , we will see you all then. pulled pork, rosemary ham, swiss cheese, house pickles and spicy brown mustard on french bread with a side of potato salad.